Other than being adorable, it was really just a useless little one! Shen Yanxiao had indeed picked up a lot of things in this life. Another example, the small Phoenix. And another one, Fu Tu? Lan Fengli, who was a super Killing G.o.d, was now part-timing as Shen Yanxiao’s number one personal little tail. The small Phoenix became the first ‘stuffed toy’ of The Rising Sun City, and although its own fighting power was not ominous yet, the fighting power of its parents was extremely formidable. And Fu Tu was leading a group of higher demons. The mini dragon could be said to be the most useless creature that Shen Yanxiao had ever picked up. And this creature was actually summoned by herself even. "I can really only bring it with me?" Shen Yanxiao felt very powerless. She did not want to toss the mini dragon away, nor kill it. She would never do such unkind things. "Yes." Xiu nodded his head. "Okay." Shen Yanxiao was truly helpless. From now on, she would carry such an ornament on her body. Apart from proactively consoling herself that it was all alright, Shen Yanxiao really did not know what else she could do. The fact that she had broken through to the second stage of her two professions had all been ignored by her because of the appearance of this mini dragon. Shen Yanxiao did not plan to continue summoning other phantom beasts. She had no clue how to send a phantom beast back to their world, so if she accidentally summoned more mini dragons, she was afraid that her thin shoulders could not support them. The next day, while Long Xueyao was delivering Shen Yanxiao’s breakfast, she was instantly surprised the moment she saw that ‘thing’ on her shoulder. Shen Yanxiao could only spout an excuse that this fellow was her own magical beast, just to get on with it. Thought-provoking. Across her whole face, the word "sympathy" was clearly written. Because the mini dragon's body had no breath at all, it was seemingly no different than an ordinary wild animal. Long Xueyao naturally thought that the mini dragon was a low-level magical beast, or the kind that was inherently weak. A genius youth, who had a jaw-dropping strength, actually owned a mere low-level magical beast. The shocking effect this would have on people could be imagined. Shen Yanxiao was very helpless. She could only think of sending a letter to Yun Qi after she returned to The Rising Sun City, asking him how to cut off the magic transmission. Because of Shen Yanxiao’s speculations, Long Xueyao and Long Fei also discussed for a long time, and finally decided to go to The Rising Sun City in two days. To the outside, they would just be paying a visit, but they were actually going there to ask Shen Yanxiao to lift the curse on Long Fei’s body. Of course, this matter, apart from the two deputy heads of the Blizzard Mercenary Corps who were present at that time, was only known by the father and son Gu pair. There was no need to mention that Long Xueyao would go. So, of course, Gu Lan would put his son in the team as well. 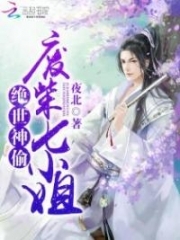 He said that Gu Feng would go there to tie a connection with The Rising Sun City on behalf of the Divine Wind Alliance, but in truth, it was actually so that Gu Feng could draw his relations.h.i.+p to Long Xueyao closer on the way. This small thought, everyone actually knew. On the day before their departure, Long Fei also invited Shen Yanxiao to travel with them to The Rising Sun City. After all, the true nature of his affliction was discovered by Shen Yanxiao. Moreover, Long Fei also intended for Shen Yanxiao to feel a certain sense of belonging in the Blizzard Mercenary Corps. And then, he would invite her to join in the future. Shen Yanxiao had already broken through to the second stage, so she must also return to The Rising Sun City now. And with such a smooth ride appearing before her, she would naturally not refuse it. However, if Long Fei knew that this youth he favored so much had actually stolen the blueprint of his home's Thunder Artillery, one did not know what he would feel. You're Read The Good for Nothing Seventh Young Lady Chapter 934 online. If you find any errors or translatation mistakes, please let us know so we can fix that as soon as possible. Current Time is 26-Apr-2019 16:37:21 PM.